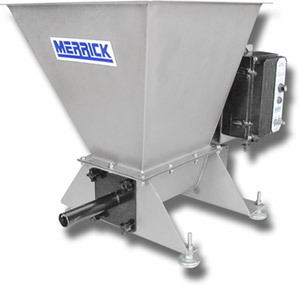 The Series 100 is a screw feeder designed to volumetrically deliver dry material into a process at varying rates by changing the speed of the auger. The Series 100 is supplied with a variable speed drive that allows the user to adjust the percentage of drive output to a rotating auger. 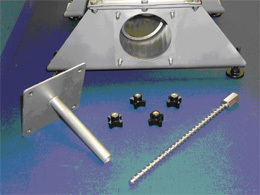 The auger draws material out of the integral storage hopper. An overwind helix, concentric to the auger, conditions the material and serves as an agitator.